Hello fellow yogis! 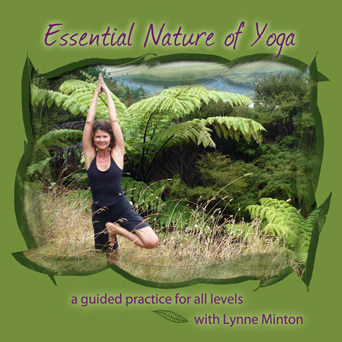 I’m happy to announce that my new CD, “Essential Nature of Yoga,” has been released. It’s a guided practice for all levels, and I hope you enjoy it as much as I enjoyed making it. The cost is $15 plus $3.00 S/H for each CD. This CD comes with a photo display of the asanas (pull out the front cover and open to view). You may choose the entire 90 minutes or select one or two sections for your daily study.